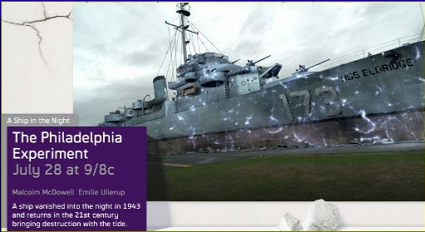 From my main man director Paul Ziller we have his latest… as of today… SyFy Channel Original 'The Philadelphia Experiment'. Of all the movies we've seen here at the FCU, Paul Ziller's films are the most represented with around thirteen or fourteen of his films littered around this site. It's not that Mr. Ziller is our favorite film director or anything like that, just that we tend to eat where he cooks at, even though we might not find the food all that tasty most of the time. Nothing but mad love though. Today's film is a little different however as this version of 'The Philadelphia Experiment' is among the best of the Ziller's that we have seen… which some might translate into meaning it's still not very good, but we're not mean spirited like that. hell. After the test, in the middle of an airstrip in Pennsylvania I think, the USS Eldridge appears out of nowhere. Odd, considering the Eldridge disappeared some seventy years ago. There is one survivor on this ship, the rest of crew fused into the ship, in Lt. Bill Gardner (Nicolas Lea) who phases off the ship and runs around town all discombobulated and stuff. But just as he gets off the ship, super dumb local cop Carl Reed (John Reardon) touches the glowing, electrified battleship that appeared out of nowhere and gets sucked inside. This is relevant because his girlfriend is Super Hacker Molly Gardner (Emilie Ullerup). You catch that? Her name is Gardner… The Lieutenant's name is Gardner… right? How did this happen? Well Dr. Falkner explains it all in detail and shockingly it actually makes sense in a fantastical way. The problem with the Eldridge is that it keeps materializing from place to place, crushing stuff, emitting death pulses, killing citizens, and that looks bad for the Mega Corp that has funded this experiment. Solution? Kill them all and nuke the rest! To accomplish this task, the crazy evil Kathryn has dusted off Michael Pare, a holdover from the 1984 movie, to find Lt. Gardner, his hacking granddaughter, and some wacky scientist played by Malcolm McDowell to clean this mess up by shooting people in the face. It makes very little logical sense to do this, but we are forced to roll with it. All of these things are bad, as Dr. Falkner explains because if the Eldridge doesn't make it back to 1943, the entire time space fabric continuum will be ripped to shreds and reality will cease to exist. Or something. And the key to this is getting Gardner back on the ship. He has superpowers by the way. Is Kathryn hearing any of this? Nope, because obviously her bonus / stock option package is at stake, and that's far more important than saving the planet Earth. There are issues of logic that do plague the version of 'The Philadelphia Experiment' a little, beyond the fact of battleships materializing out of thin air and landing on skyscrapers, because we buy into that stuff pretty easily. The hacking hottie was a bit on an issue, considering it's a pretty lazy plot device used to make things slide by much easier, and we were curious what kind of science Malcolm McDowell's character was developing for the last seventy years, but still hadn't finished yet. And who was funding it? But the main issue was the concept of killing people to cover up something that everyone knows you're already responsible for. Without getting too much into the details of it, our 'super hacker' knows who owns the technology, the government knows since our evil Program Manager is controlling the F-15 fighter pilots (!) since everyone knows middle managers have carte blanche over armed forces fighter jets. And if the two super smart guys who developed the time space continuum busting cloaking device tells you that it's important to send the ship back to 1942 to save the Earth, considering there's no conceivable personal gain for them if this happens, then maybe we should listen to them and not shoot them in the face. Plus sending the ship back to 1942 effectively gets rid of all of the evidence I'm thinking. But I'm not a murderous middle manager so what the heck do I know? But while 'The Philadelphia Experiment' might not be the brightest bulb in the box, it wasn't too terribly painful to sit through, despite what I may have said earlier. It moves along pretty quickly, Nicolas Lea is a veteran at this kind of thing and was solid as the lead, even though he spent most of his time in this movie screaming in pain, Gina Holden is tall and pretty, Emilie Ullerup is not as tall but still pretty, and the special effects were sparse and a little old school, but still effective. 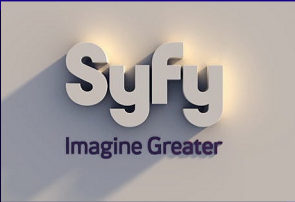 It's a SyFy Original, it will have its limitations and challenges, but most of us who watch this stuff know this going in. With that as a baseline does 'The Philadelphia Experiment' rise up far enough to at least make it worth watching? I think it does. Super smart scientist Dr. Falkner (Ryan Robbins) has developed some super duper tech. Kind of.  Actually he's refined the tech that the Navy was working on back in '42, that being a cloaking device. Eat that Klingons! He shows off this fancy tech to his sizzling hot program manager Kathryn Moore (Gina Holden) who in addition to her wildly inappropriate choice of haberdashery items, has a set a huge set of blue eyes that never blink. I think that means she's evil. Also, we have to send a special shout out to actress, and FCU favorite, the absolutely lovely Marsha Regis who plays one of the scientists in yet another SyFy Original. Since she plays a scientist so often in these movies we think she must be smart in real life.